With ROK CUP USA’s history in mind, today, we are proud to announce an even bigger step in addressing this complaint. 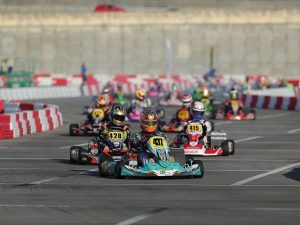 Starting at Round 1 of the Florida Winter Tour in Homestead, ROK CUP FLORIDA will run its first race combined with the Florida Winter Tour (FWT). Thus, the driver will be racing under ROK CUP USA technical rules but under the FWT organization. This format will repeat itself for Round 2 in Palm Beach and Round 3 in Ocala. Therefore, a driver only has to pay for one race organization but is getting points for two different series. ROK CUP FLORIDA’s fourth and final race will be held in Orlando from April, 7th to 9th. Any driver who has competed in all 3 rounds will receive FREE registration and FREE race tires for the fourth and final race in Orlando. If that’s not enough incentive, ROK CUP FLORIDA will also offer a FREE tent space for all drivers who desire to participate in all FWT races but are not associated with a team and have no tent of their own, with a table, chairs, and air compressor available at no cost. For ROK CUP MIDWEST, our goal is a little different. Travelling is a huge expense for drivers and teams, and many of the race series do not work together in order to facilitate the logistics for the events. Therefore, ROK CUP MIDWEST will once again will make history by scheduling its races in such a way to minimize travel to the teams. Round 1 will be held in Pittsburgh International Race Complex on the weekend of May 12th to 14th. ROK CUP MIDWEST chose this date because most teams that support the MIDWEST racing calendar will be at Pittsburg the following weekend for Round 2 of the WKA MAN. CUP. This is a perfect opportunity for teams to set up for two races in two consecutive weekends, in an effort to minimize cost and inconvenience. Round 2 of ROK CUP MIDWEST will be held in Oakland Valley Race Park, New York on the weekend of June 9th to 11th. The first reason we choose OVRP is because the US OPEN Round 1 will be held in New Jersey just 2 weeks later, and it is a very short three-and-a-half-hour drive for the teams to travel from OVRP to New Jersey. The other reason we choose the OVRP track is because of its history. It was built in 1962 and is a cornerstone of racing tracks in the country. 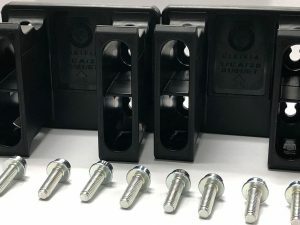 Additionally, it is one of the few facilities here in the USA that has an extensive driver education program that helps young drivers to develop their skills in the motorsports world. Round 3 will be held at the Famous New Castle Motorsports on July 7th to 9th. Once again, this weekend was chosen because the weekend following ROK CUP MIDWEST Round 3, WKA MAN CUP Round 2 will be at the same location. 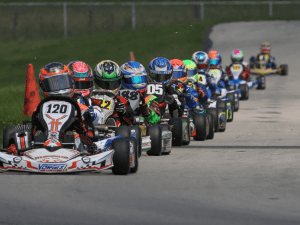 The ROK CUP MIDWEST Championship will end with Round 4 at New Castle Motorsports Park, this time the race will be the weekend after the SKUSA SUMMERNATIONALS. Finally, ROK CUP FLORIDA and ROK CUP MIDWEST will meet on September 14th to 17th in ORLANDO to once again crown the ROK CUP NATIONAL champions. We re-considered the ROK CUP MIDWEST and ROK CUP FLORIDA schedule in order to maximize working with all other competing series. 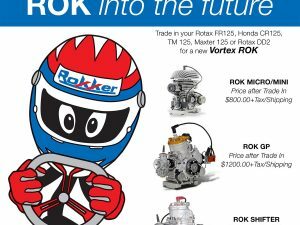 ROK CUP USA’s goal is to see the sport grow, and therefore the best thing we could do for karting is to place our races at the same track or in very close proximity to our competitor series, whether it’s FWT, US OPEN, WKA, or SKUSA. ROK CUP USA’s goal is to help teams and drivers spend less money on traveling, setting up, and tearing down, in order to focus where it really matters: racing itself. With this schedule, ROK CUP USA has hopefully demonstrated that we are willing to make sacrifices in order to achieve an unsurpassed experience for drivers in the USA. We believe that this schedule is a monumental step towards giving drivers what they want; an easier schedule which, in turn, provides plenty of opportunities to earn one of the 25 FREE tickets to race in Italy against 400 of the best drivers in the world. We hope to see all of you racing this year and we encourage you all to join ROK CUP USA in supporting kart racing in the USA.